Speaking of tags, that’s another seemingly small way you can help us spread the message. Any photo you see on our Facebook page is available for you to tag friends who are in it. Why does this matter? Because the people who have already “liked” our page have nearly 1.3 million friends between them who are likely to also “like” The Fuller Center for Housing when they see what we do and know their friends are involved. One way they can find out their friends are involved is when they see their friends have been tagged in a photo. When you see your friend has been tagged in a photo, you’re more likely to look at it. It’s another one of those seemingly tiny things you can do in just a few seconds that could help our mission be seen by many, many more people. And, again, it costs nothing to do it, and any free promotion is immensely valuable. I’ve touted some of our successes on Facebook, but getting folks to tag their friends in our photos is not one of those successes. 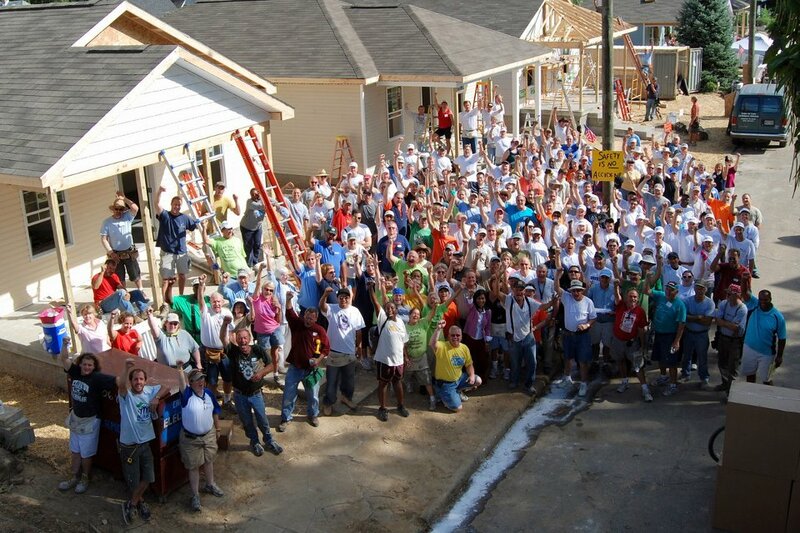 In fact, recently I put a photo on our page, which you can see above, with many people in it during the 2010 Legacy Build in Indianapolis. I figured surely everyone associated with us knows someone in that picture. Alas, it didn’t get a lot of attention. When someone tags you, the first thing you do is turn around to see who tagged them and why. And that’s what we want from little things like this — for folks to take a look around and understand why we do what we do. Ultimately, the winners in that game of tag are families who need simple, decent housing and communities that need a lift. Besides, it’s much safer than tagging random people on the street.